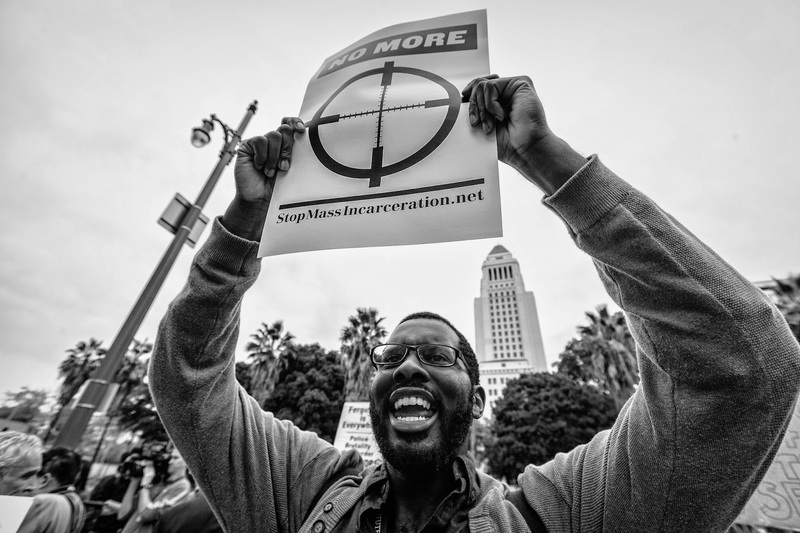 Dozens of protesters showed up to protest against the shootings and killings of unarmed black men by police from across the nation, in front of the LAPD headquarters in downtown Los Angeles. 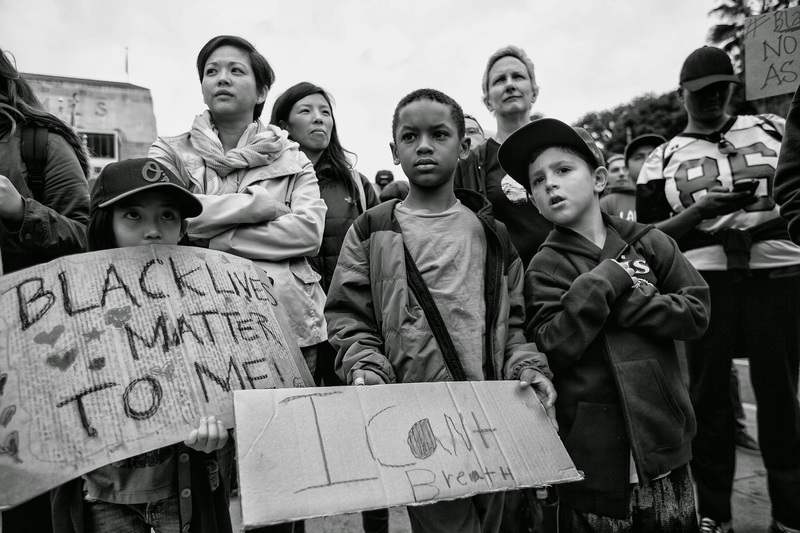 The small crowd chanted "I can't breathe" in tribute to Eric Garner who was choked to death by NYPD officers during his arrest. 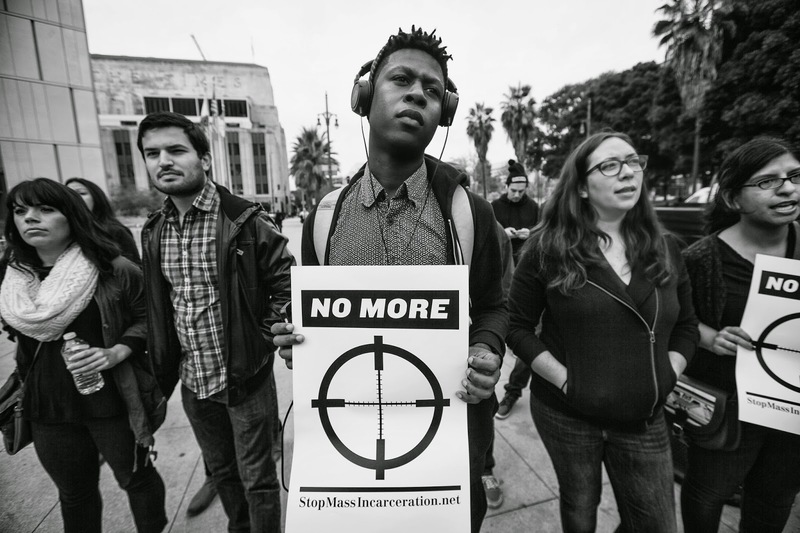 The protesters proceeded to march to South Los Angeles at the spot where Ezell Ford was killed by LAPD earlier this year. 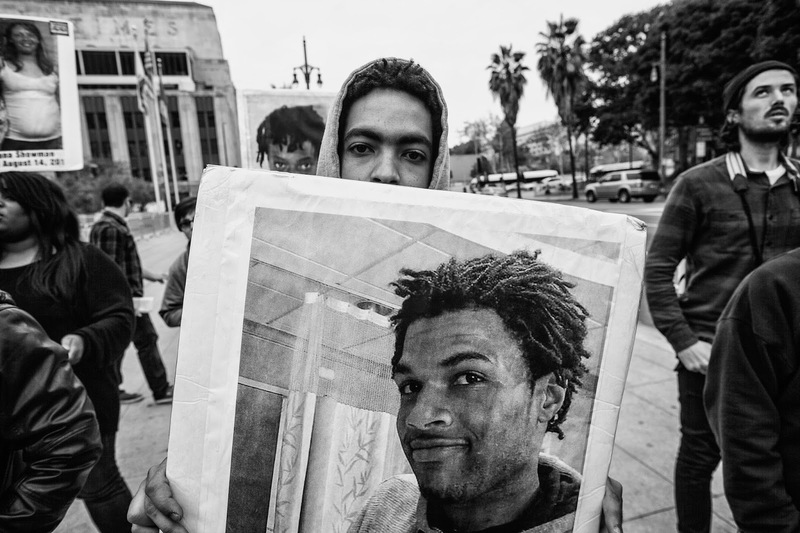 Protesters in front of LAPD HQ. 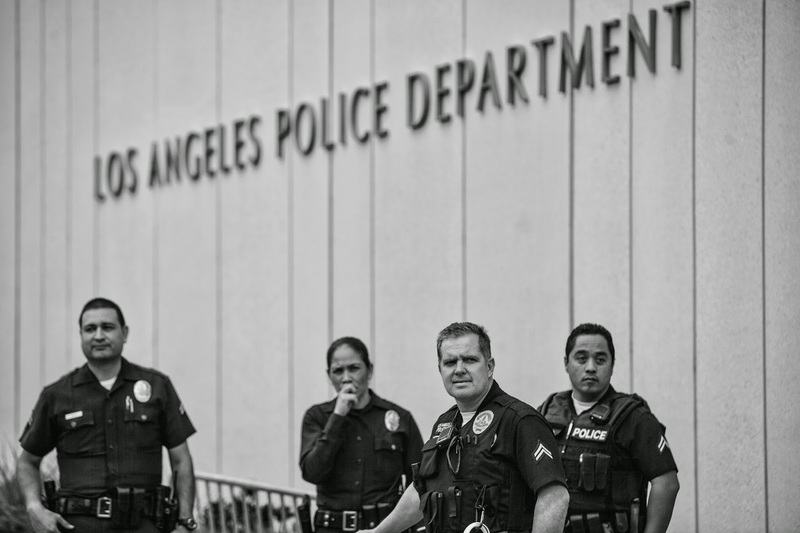 LAPD officers at LAPD HQ.